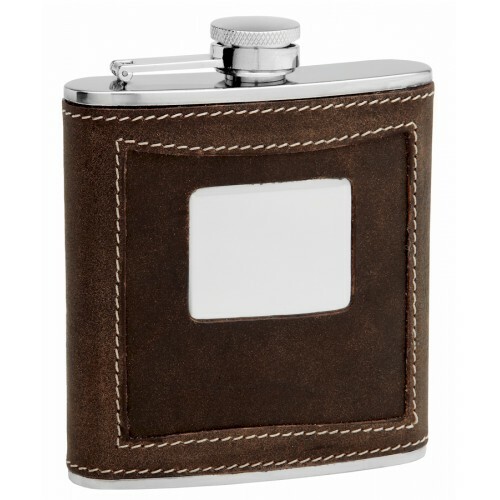 This 2 tone leather hip flasks features high quality leather in two different brown tones that overlap each other. 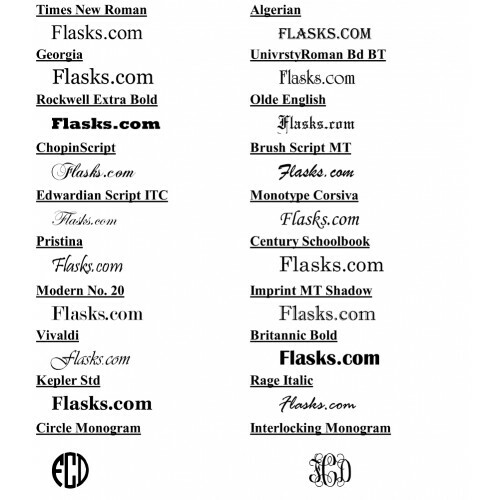 There is a stainless steel engraving plate in the middle of the flask which is perfect for personalization. 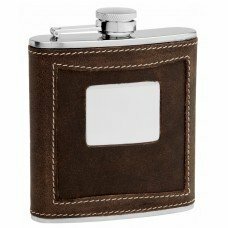 The leather is genuine cow hide and is high quality top grain distressed leather meaning that the flask will most likely outlast you! 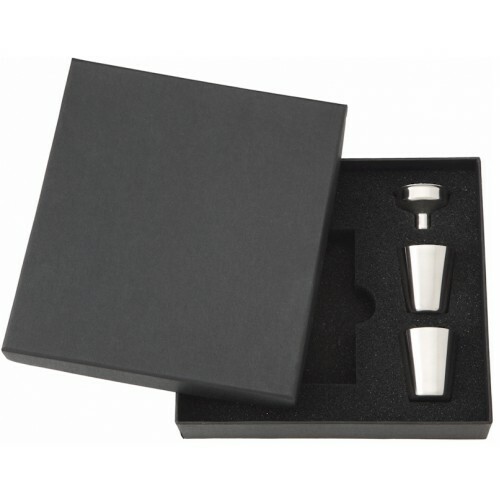 This is a great gift flask for men and one of our best sellers. When you need a traditional gift for a man that says elegance this is the gift you should purchase. 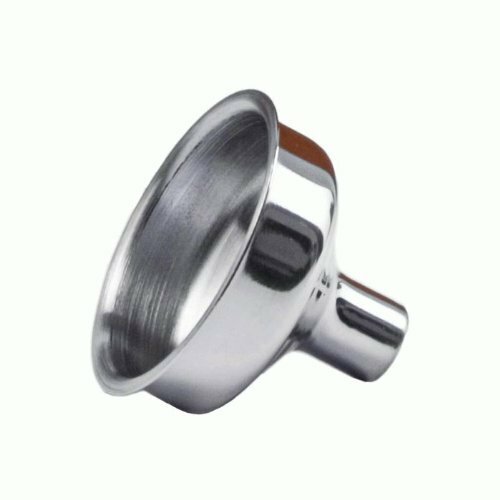 Go all out and get the optional gift box with a flask filling funnel and two stainless steel shot cups and give a gift that anyone would love to receive.